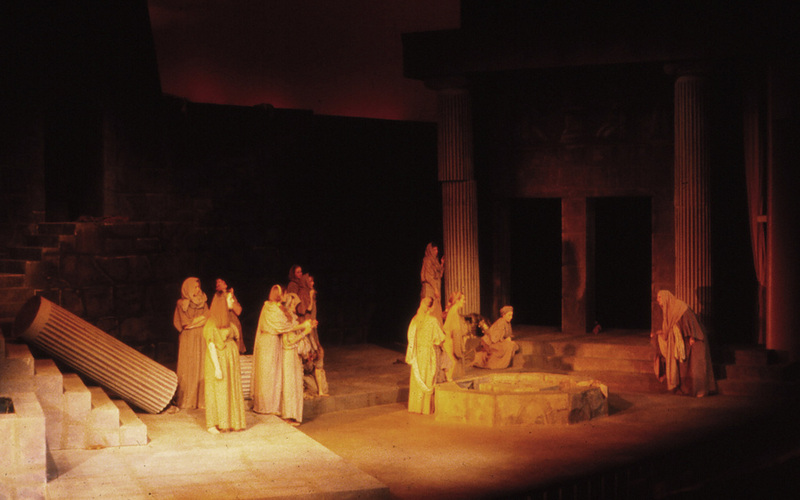 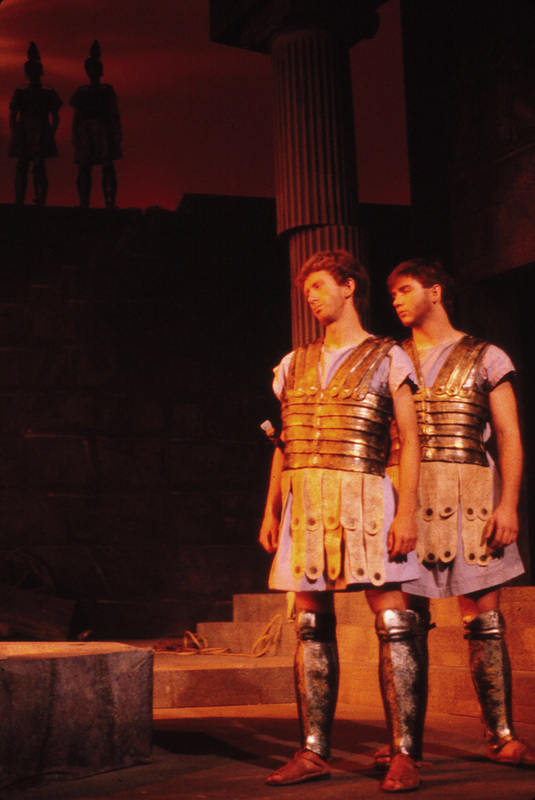 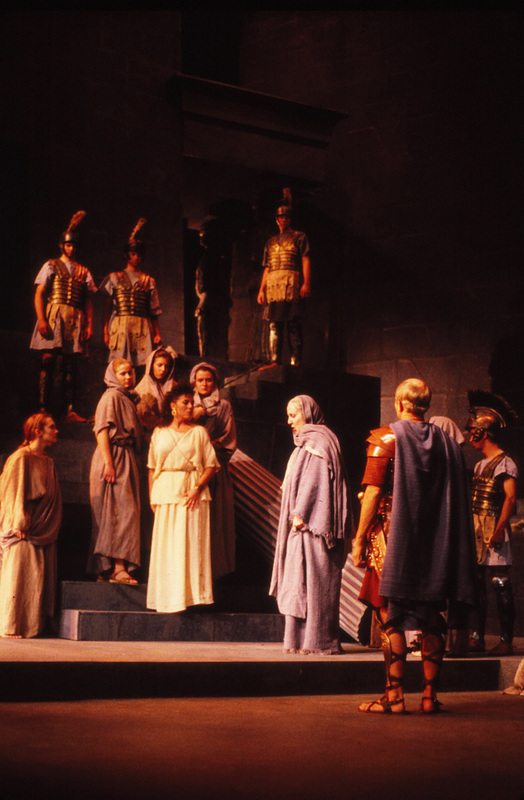 This production at Brigham Young University broke the record for the tallest set on this particular stage. 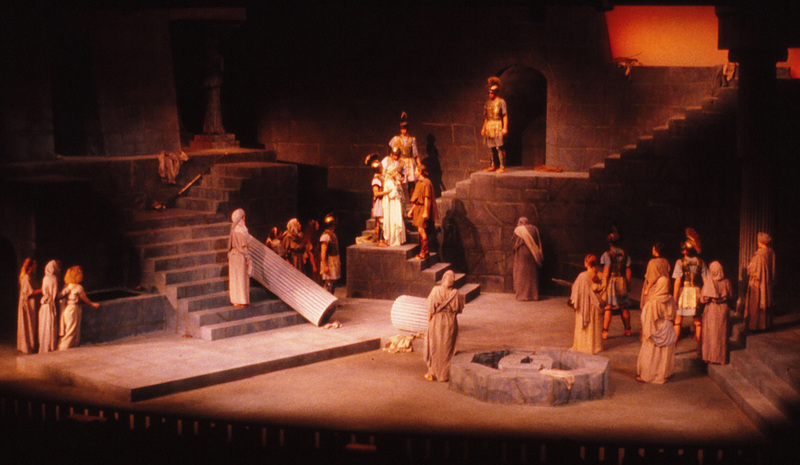 I have the illusion of guards coming up and over the wall of the city, the highest platforms were 18 feet high and the wall continued to a full height of 32 feet to complete the illusion. 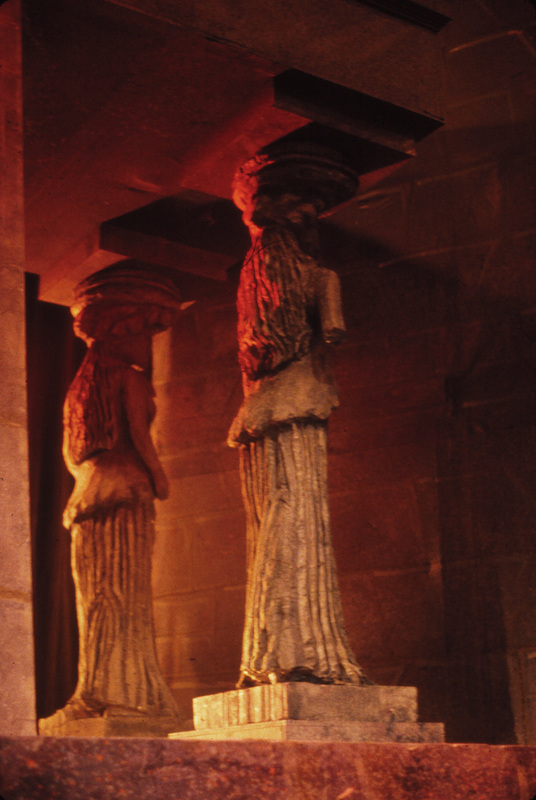 Upstage right were two carved female statues, representing the women who held the city up. 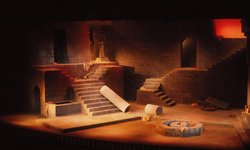 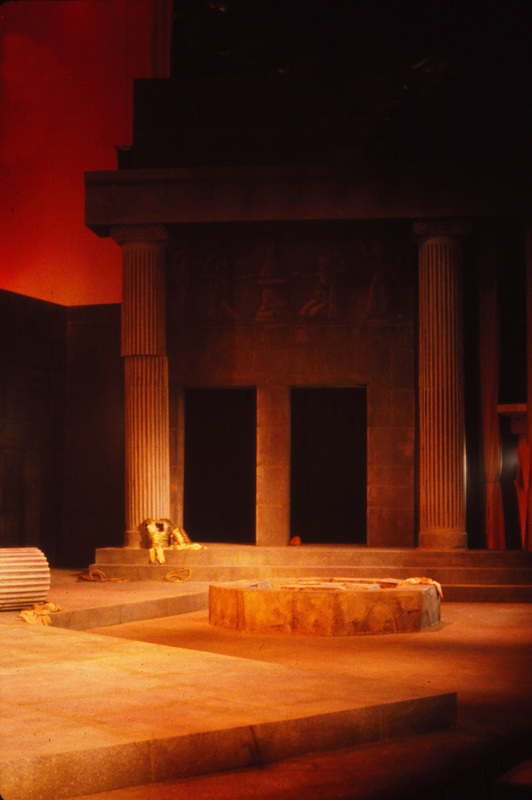 The temple occupied the downstage left portion of the stage and a sacrificial ring of stones was center.